The company Ekotron d.o.o., founded in 2012, is a subsidiary company of Eso tron d.o.o., Novi sad, Serbia. The purpose of founding was providing buyers in the EU with the best service of supplying raw material with Serbian origin. The company's primary focus is on supplying raw material for biodiesel production in accordance with guidelines and directives from the EU. That is why it has received the ISSC EU sustainability certificate in 2013, with which we guarantee transparency and traceability of renewable raw material sources from their formation until final processing to our partners. Following years of successful business, we have become one of the most important partners in purchasing and delivering vegetable oils and oil substrates for various purposes. We have also spread our business in the area of trade with animal fat and feed and trade with ecological products, for which we have gained the ECO certificate. Because of our knowledge and experience gained along the way we are an increasingly important partner in consulting in different ecological projects in the EU as well as in ex-Yugoslavia countries. As specialists in organizing logistics services, we have decided in 2017 to expand to the area of customs services and thus offer our clients comprehensive solutions in transport, customs services and arranging all the necessary documentation. 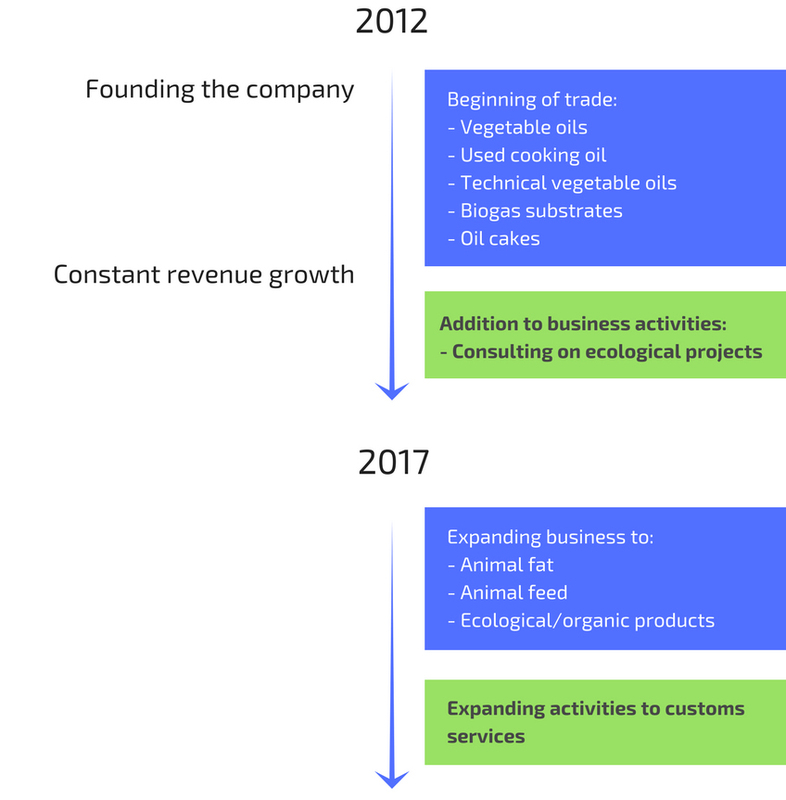 The company's vision was and has remained becoming a point of trade with various kinds of vegetable oils and oil substrates on ex-Yugoslavian and European markets, while providing the highest possible standards of quality and sustainable directives. Company name: EKOTRON podjetje za predelavo, trgovino in storitve d.o.o.